After a trip on the Shadow Fold, Alina Starkov, an orphan and mapmaker in the First Army, finds out she has magical powers (Grisha). She is sent away to the Royal Court of the Darkling (the leader of the Second Army, the army of Grisha), to learn about her abilities. In the prologue, we meet Alina and Mal, two orphans in Keramzin. At the age of eight, they are tested for Grisha abilities, but they don’t seem to have any. The First Army, which Alina and Mal both joined, is on its way to Kribirsk, the city next to the Shadow Fold. They plan to cross the Fold the next day to go get supplies in West-Ravka, but Alina is nervous. Not everyone survives crossing the Fold. She reflects on her relationship with Mal, who has become sort of a stranger to her (much better at everything, much more popular, while she is just a regular mapmaker). Also, she is in love with him. But when they are on the Fold, they get attacked by Volcra. The attack nearly kills Mal, but Alina saves him by producing a massive light (of which Volcra, monsters, are scared). After that, they return to Kribirsk and Alina is questioned by the Darkling, the leader of the Second Army of Grisha, himself. The Darkling decides that Alina needs protection and sends her off to live in his palace in Os Alta (the capital of Ravka). On the way over, they get attacked by assassins of another country, but the Darkling splits a guy in half to save Alina. She also learns that she apparently is the Light Summoner (the most powerful Grisha next to the Darkling), and therefore, able to save the country from the Shadow Fold. When arriving at the Little Palace, Alina meets Genya, who has to make her ready. Genya has the ability to make beauty, and she makes Alina look a little better for her presentation to the King. After that, she learns to live in the Little Palace. She has to train and takes fighting classes as well as classes with Baghra, a strange old lady who learns her to control her ability. The entire time, the Darkling tells her that she’s his only hope at destroying the Fold. He tells her he’s looking for an amplifier to give her power. He plans to hunt down a very powerful, but so far hidden stag to create one. Alina still tries to get used to her life and feels lost without Mal. But she decides she must let him go in order to summon light, and finally starts to get control of her powers. In the Winter, the King and Queen of Ravka plan a ball where the Grisha give demonstrations of their power. This is where Alina is “presented” to everyone and shows her powers for the first time. She wears black, the Darkling’s color, for the first time as well. Afterwards, the Darkling takes her away and they make out in a dark room. But THEN she meets Mal, who happens to be in the Palace at the same time too, because apparently he has been looking (and has found) the stag. And to complicate things even more, Baghra shows up in Alina’s room, telling her she is the Darkling’s mother, and that he is the Black Heretic, the one who created the Shadow Fold. She tells Alina that he plans to destroy the other countries instead of destroying the Fold, and Alina runs away. And running away she does. She gets very far before being caught by the Darkling’s guard, and even then manages to hide until they go away again. But she also runs into Mal, who has deserted to army to help her. They decide to find the stag together. And obviously, Mal finally figures out he has been in love with Alina all along and they kiss, RIGHT before they find the stag. But unlike planned, Alina can’t kill him, and the Darkling’s army shows up instead. The Darkling, of course, has no problem killing the stag. They make Alina an amplifier which bounds her to the Darkling. A few days after that, they go onto the Shadow Fold again, Alina to “destroy the Fold” (but actually forced to help the Darkling keeping the Volcra away while he destroys everyone in his way). But when Mal is thrown overboard, Alina fights more. She then realizes that by not killing the stag, she has more power over her amplifier than the Darkling. She breaks free from him and jumps off the ship to save Mal. She protects themselves from the Volcra by summoning light, and lets the light disappear over the ship, leaving it to the Volcra. After that, they run across the sand to West-Ravka, free but not safe. In the epilogue, Mal and Alina have boarded a ship that takes them across the True Sea. Alina still plans to destroy the Darkling. If that means you have Siege and Storm already, I am incredibly jealous haha. But seriously, thank you!! I’m so happy you like it. Perfection!!!!! 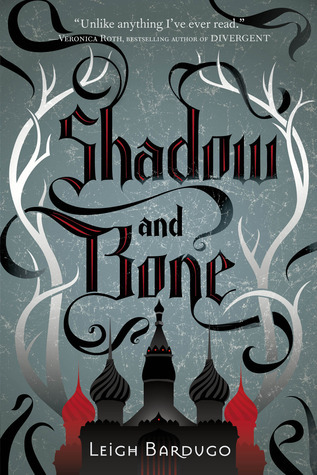 About to start Siege & Storm right now and so glad you guys recapped Shadow & Bone so I’m not like, “Okay, so I know I loved this book but wtf happened….” PERFECT. THANK YOU, RECAPTAINS! You’re so welcome <3 I’m so glad we could help you continue this FABULOUS series. I was almost just really lost starting book two! This just saved me! Thank you so much! I almost gave up on reading Siege and Storm because I didn’t remember what it was about!